The library is a special place! Whimsical animal characters teach kids how to behave in their school libraries through uplifting lyrics and a catchy song, which are reinforced by colorful, modern illustrations. 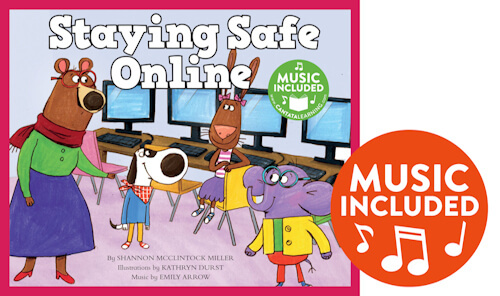 This hardcover book comes with online music access.